In modern capitalism, for the most part, you can get all the money you want if you can help more people get more of that THEY want. Sure, at the extremes, there are exceptions, like outliers, free riders, cheaters, etc. But they’re the exceptions that prove the rule. 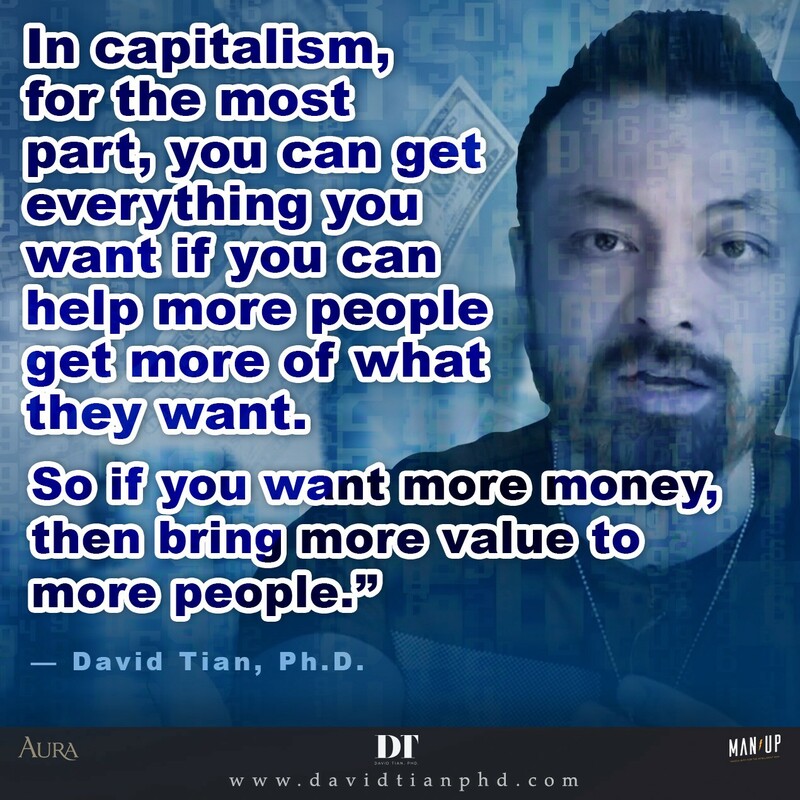 How capitalism works is that if you want more money, then you have to bring more value to more people. Instead of just wishing you could get more money…. Contribute more to the bottom line for your company. Get the evidence. Show the data to your boss. Rinse and repeat. Hustle, grind, persist, and be patient. Entertain competing offers or accept the raise. Deliver MORE laughs/entertainment/joy to MORE people. Hustle, grind, persist, and be patient. See your stock rise. Connect more people with a faster, more stable connection (are you listening, Skype?) while cutting out all the crap users don’t want. Hustle, grind, persist, and be patient. See your user base and valuation skyrocket. Help more people find more happiness and fulfilment in their relationships. Or educate more people about an area they care about. Put up a Patreon account or make a simple website for donations in exchange for value. Hustle, grind, persist, and be patient. Enjoy the increased freedom the extra income affords. Or, like too many university teachers or academics in the humanities, complain that you don’t get more respect or pay while you spend all your time obsessing about obscure areas that few care about and bring little practical benefit to anyone… and watch the disruption and demise of your industry, like rearranging the chairs on the Titanic. Look, it’s simple. In modern capitalism, you can get everything you want if you can help enough people get more of what they want. No excuses. Bring more value to more people. If you more money, then bring more value to more people.